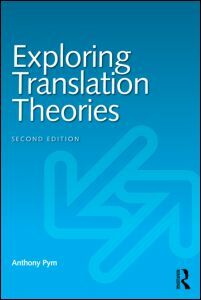 Exploring Translation Theories is a textbook for advanced courses on Western translation theories. It was first published by Routledge in 2010, with the revised version in 2014 (Routledge page here). Comments on the book are welcome on Facebook, which is also where some recent video material is stored. This site links to the video presentations and gives additional content, including partial translations of the book and suggestions for further tasks and activities. Reviews of the book are listed here. You Tube video lectures can be seen in the correct order here. Additional You Tube lectures can be seen here. People in PR China can find the videos here (but you have to wait for them to download).